Based on the number of positive reviews and good ratings from the Japanese readers, the manga version of Fool’s Paradise seems to be the most appreciated HQc, or at least one of their top 5 favourites. That’s the reason why I decided to take a look at the manga books. 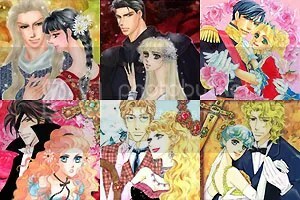 Honestly, Fujita Kazuko-sensei isn’t a favourite of mine, though I admit she’s among the best illustrators for manga adaptations of Western romance novels. I know she’s considered in Japan as the Queen of HQc. And for Fool’s Paradise, I’m just gonna say the 3 volumes are well drawn and full of adventures. Most HQc fans will probably like it. I’ve never read the novel version, though I did read a couple of Tori Phillips’ books when I was younger. I can’t say they were unforgettable. But I don’t feel adverse to this author, so they must have been okay-to-nice read. I’m not especially fond of periods prior Regency England but Elizabethan era fans will certainly welcome this change of setting. The hero’s status is rather unusual for a romance story: a commoner and a jester to boot! 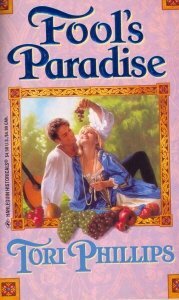 If someone is interested in scanlating Fool’s Paradise, you’ll find the specifications and samples of the files in my Harlequin & Romance comic raws collection and you can submit a request for the raws HERE. When fleeing an odious arranged match, the Lady Elizabeth Hayward found herself under the protection of famed court jester Richard Tarleton. 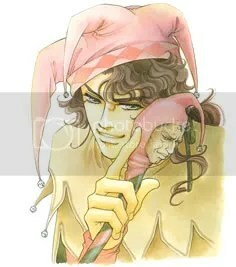 But even disguised as the fool’s boy apprentice, there was no hiding the fact that she’d fallen hopelessly in love! Though Tarleton’s ready wit had won him royal favor, his tongue was tied in the presence of the sweet-voiced Elizabeth—at least about things that truly mattered. For how could he offer the queen’s own goddaughter a gift so lowly as his own foolish heart? Samples for these mangas can be found at my Harlequin & Romance comic raws collection where I compile specifications about the files. If someone is interested in scanlating one or more stories presented in this post, let me know. You can submit your request for the raws HERE.